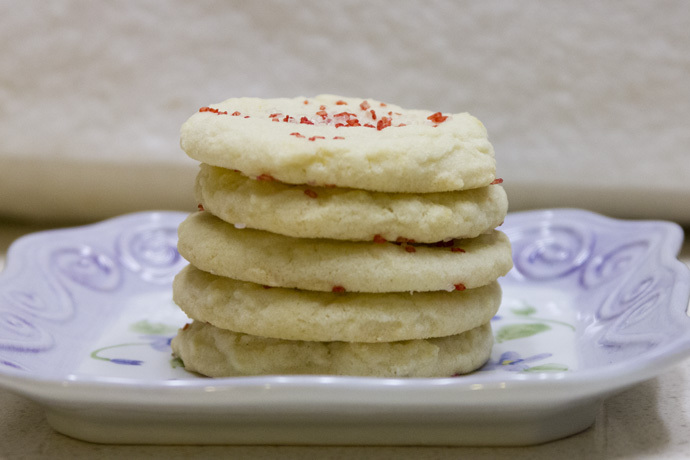 Sugar cookies are one of those things that are so simple, yet so delicious and nearly everyone seems to enjoy them. I had bookmarked a recipe in Rebecca Rather’s book, The Pastry Queen: Royally Good Recipes from the Texas Hill Country’s Rather Sweet Bakery & Cafe, called “Sugar Saucers” and had been wanting to try it for a few years. One day I had the itch to bake something and remembered that recipe, dug the book off my shelf, and adapted it to be gluten-free. The cookies were surprisingly easy to make and were a unanimous hit at when I served them at a gathering that night. I’ve made them many times since and everyone loves them. They are a bit delicate, especially if you bake them for the shorter cooking time. Mix everything to form a smooth dough. A scoop makes perfect uniformly sized cookies. Sprinkle colored sugar on the cookies before baking. Preheat oven to 350. 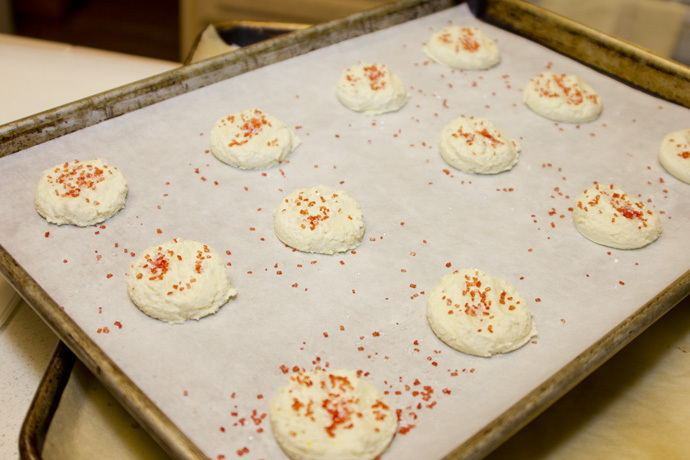 Line cookie sheets with parchment paper. 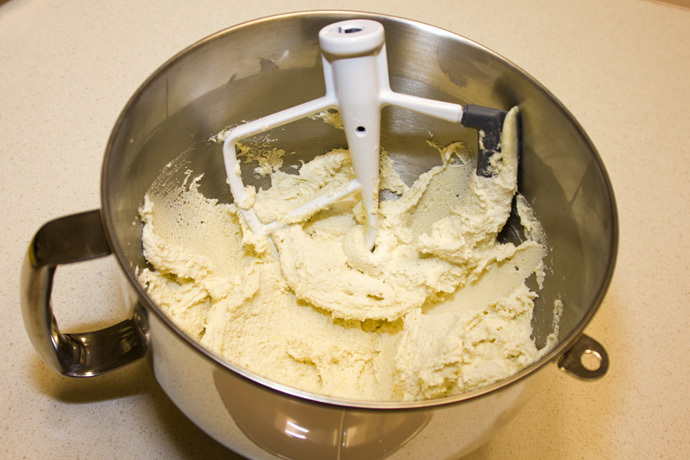 Beat butter in mixer bowl with paddle attachment until smooth. Add oil and sugar and mix well. Beat in egg and vanilla. Add flour, tapioca starch, baking soda and salt. 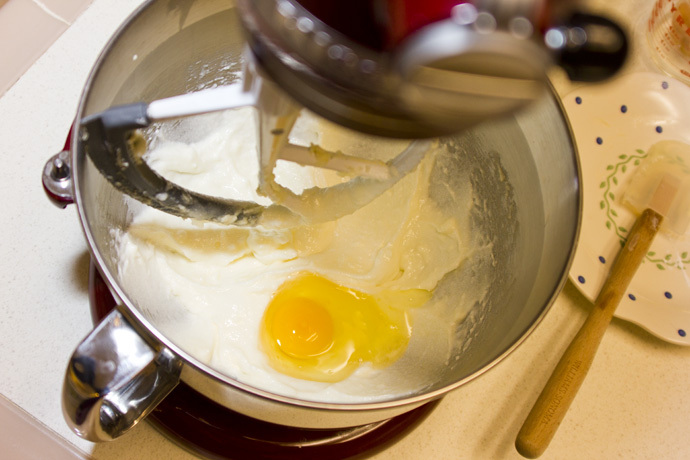 Mix on low speed until dough comes together to form a ball. If dough is very soft, refrigerate for 15 minutes. 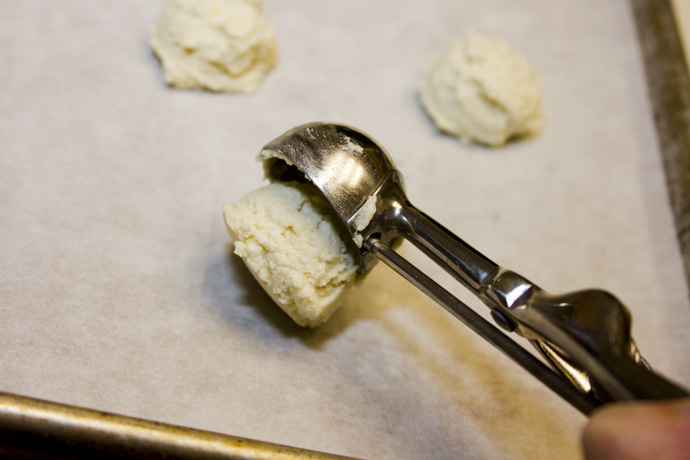 Use a small scoop to form dough into balls, or measure out approximately 1-1/2 tablespoons of dough for each cookie. 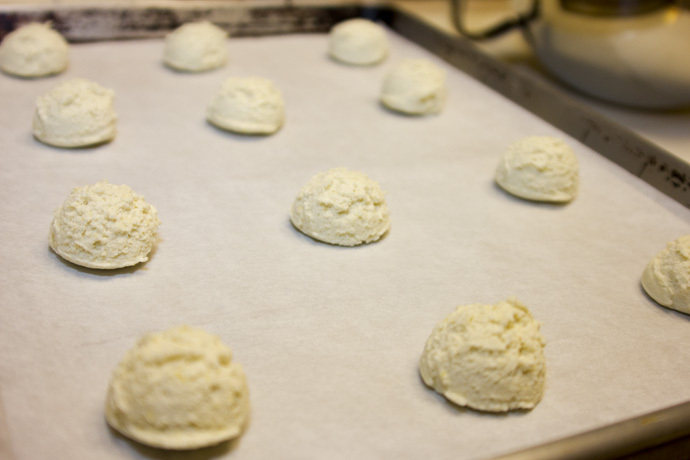 Place dough 2 inches apart on cookie sheets; use your hand to flatten to 1/4-inch high. Sprinkle tops of cookies generously with granulated sugar or colored sugar or sprinkles (I prefer these naturally colored sugar sprinkles by India Tree). Bake for 8-12 minutes (shorter time for chewier cookies, longer time for crisper cookies). Makes 24 cookies. 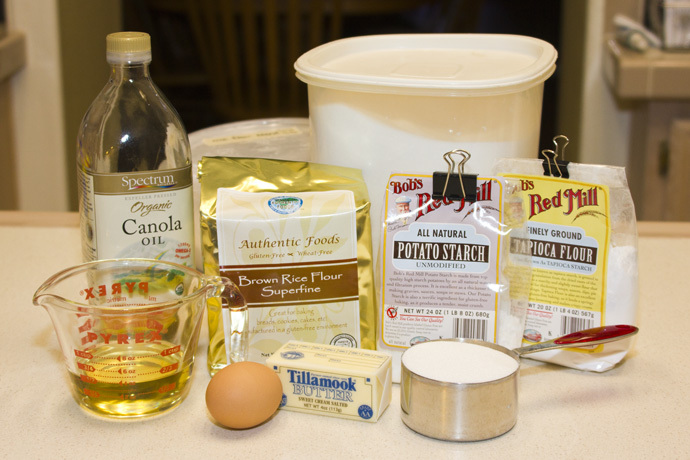 Variation: Lemon Cookies – add 2 tsp. lemon zest and replace vanilla with lemon juice. Do not sprinkle cookies with sugar, instead glaze cooled baked cookies with mixture of 1 cup powdered sugar mixed with 1-2 tablespoons lemon juice, to form a thick glaze. 4 cups Authentic Foods Superfine Brown Rice Flour + 1-1/3 cups potato starch (not potato flour) + 2/3 cup tapioca flour (also called tapioca starch). Mix together and store in an airtight container.